It is summer morning in July of 2004 in Colorado. The weather is beautiful outside and Kathleen Bates is looking forward to the day. She wakes up to her husband Jeremy. Kathleen kisses her baby son’s, Logan, forehead and goes to work. She looks back smiling as her husband is holding on to him. That day, Jeremy and his best friend were working on finishing the basement. Jeremy was a school teacher and off for the summer. He finally found the time to work on the basement. They had a helping hand in Logan as Kathleen wanted to make sure that Jeremy gave enough attention to Logan. However, his attention ended up being on something else as his life took a drastic turn. He sat her down and explained the situation. Since Jeremy was young, he has not seen or heard of his father. His uncle was trying to find Jeremy’s father after he was paroled from prison. He found him in a nursing home in Texas. He was in his early 50’s at a nursing home. Jeremy talked to the head nurse as the doctors agreed that his father had Huntington’s disease (HD). This a fatal genetic disorder that causes the progressive breakdown of nerve cells in the brain. It deteriorates a person’s physical and mental abilities during their prime working years and has no cure. Kathleen did not know the disease and offered him to live with the family. However, this is not what Jeremy was trying to tell her. He was trying to explain that the disease is genetic and this will also affect Logan’s life as well. Each child of a parent with HD has a 50/50 chance of inheriting the faulty gene that causes Huntington’s disease. After researching the disease, she knew that he was not only gene positive but symptomatic to the disease. One of the symptoms that she noticed was that he walked with his foot outward. She never told him that she knew he had it. The symptoms of Huntington’s disease are described as having ALS, Parkinson’s and Alzheimer’s – simultaneously. Other symptoms include personality changes, forgetfulness, slurred speech, difficulty in swallowing, and significant weight loss. Jeremy would go through genetic counseling and testing. They saw a therapist a few times as they would prepare you for the results. Then, the week before President’s Day weekend 2005, the blood test came back. The test came back gene positive and was symptomatic as well. His doctor suggested him to see a doctor right away to treat it. Jeremy would then enroll in clinical trials and research through the Huntington’s Disease Society of America (HDSA) Centers of Excellence. 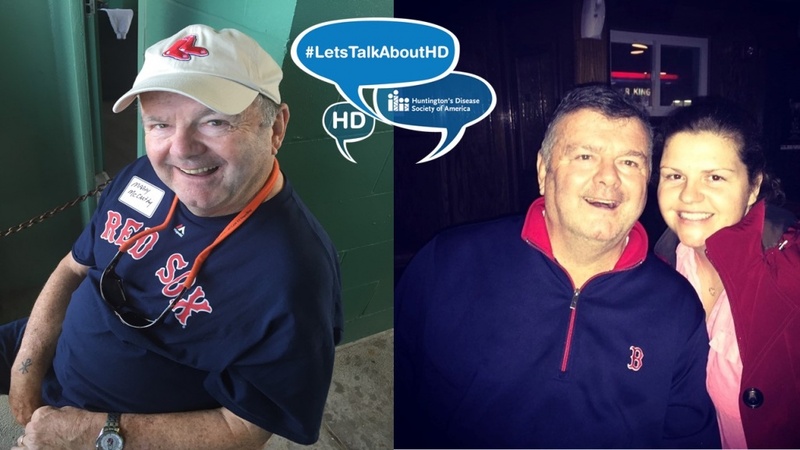 At the facilities, patients benefit from expert neurologists, psychiatrists, therapists, counselors and other professionals who have experience working with families affected by HD. They work collaboratively to help families plan the best HD care program throughout the course of the disease. Jeremy would attend the Rocky Mountain Movement Disorders Center, this is one of the 47 HDSA Centers of Excellence facilities in the country. They would attend support groups every month and would never get discouraged. This is also around the time that Kathleen started to get involved with HDSA. She would go to HD events and help organize the Denver 5K for HDSA’s Rocky Mountain Chapter. Through this, she found much more support and stability. With the help of her best friend Andra, she would help start the Denver Walk which is now known as “Heroes vs Villains 5k Run/Walk for Huntington’s Disease”. In its first year, it raised over $4k. It has now become the largest fundraiser for the Rocky Mountain Chapter. Through it all, Jeremy always had a smile on his face. Whenever he tripped, he would laugh and say “just HD”. However, by 2010, the disease started to worsen. Jeremy would have trouble working to controls on video games and putting a worm on a fishing hook just to name a few. This depressed him as he was not eating a lot. Kathleen would make the tough decision and put Jeremy in Assisted Living against Logan’s wishes. By the summer of 2015, his disease progressed and was moved to a skilled nursing home. His nurses moved him to a shared room and close by where all the action was because of his outgoing personality. Over the years, she has become connected with the HD Community. In the coming year, this will be the 15th year of the Denver 5K. She has been involved in many fundraising events, educational forms, and support groups. Kathleen has been on HDSA’s Rocky Mountain Chapter board since 2006 and is now serving her third term as Board President. “Kathleen works tirelessly in her efforts to recruit volunteer and sponsors and has shown great leadership for the RMC, everyone is excited to welcome her back into the role of President,” said Jeni Farnsworth, South Central Regional Development Director. Kathleen’s main concern is her son Logan as she wants there to be a bright future for him because she knows that he has a 50/50 of testing positive for HD.